The American Academy of Pediatrics (AAP) is updating its policy statement concerning climate change and the health of children. The statement, titled “Global Climate Change and Children’s Health,” is an updated version of the 2007 policy. It calls for everyone from politicians to pediatricians to work together to create a public health movement to protect children from climate-related threats. Samantha Ahdoot, the lead author of the policy statement, suggests that children are at an increased risk of injury, separation from a loved one, or even death when there are climate-related disasters. According to a technical report accompanying the AAP statement, climate changes influence a number of infectious diseases affecting children worldwide, including West Nile virus, Lyme disease, and dengue fever. 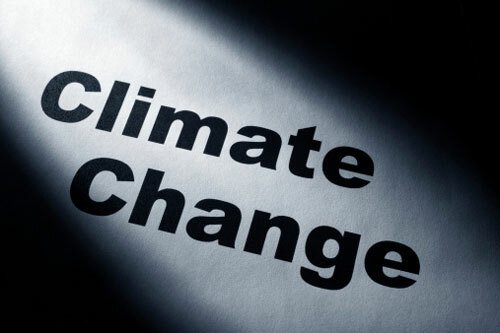 The report suggests that children are also far more vulnerable to the fallout of climate change than any other group. Deaths from heat stroke among American high school and college football players have nearly doubled from 15 to 29 between the years 2000 and 2010. One study predicts a rise in infant deaths linked to heat by nearly eight percent in males and just over five percent in females by the end of this century. The AAP notes that children in poorer countries are even more affected by climate change. For example, within the next 15 years, climate change is expected to cause nearly 50,000 additional deaths in children under 15 due to diarrheal disease—this is primarily expected to occur in Asia and sub-Saharan Africa. The acceptance of climate change and the subsequent education of its effects is what the AAP is calling for. They are hoping for politicians and other influencers to take action to find ways to protect children. The statement was published online on Monday, October 26 and will be appear in the November 2015 issue of Pediatrics. “American Academy of Pediatrics links global warming to the health of children,” EurekAlert! web site, October 26, 2015; http://www.eurekalert.org/pub_releases/2015-10/aaop-aao101615.php.